A convenient alternative to the traditional, bulky blood pressure machines. Battery operated and fully automatic with a one button operation, this small, easy to use monitor wraps around your arm to give quick, accurate readings. 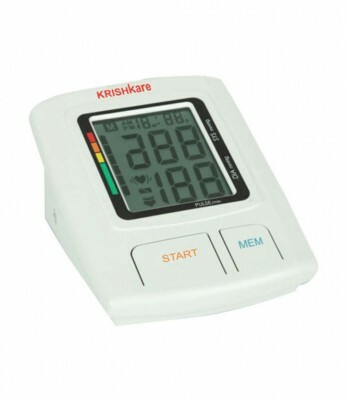 With a 60 measurement memory recall, this instrument is perfect for tracking your blood pressure over time. Readings are displayed on a large LCD screen for easy reading, and a color coded chart according to WHO guidelines allows you to correctly check your blood pressure yourself.